Whole Earth is in the market for a consumer agency to represent its peanut butter, PRWeek has learned. The brand, owned by Wessanen Foods, is inviting agencies to pitch for a media relations and brand awareness brief. TVC Group, the incumbent agency, told PRWeek it will repitch for the account. Ingenuity is helping the brand with agency selection. 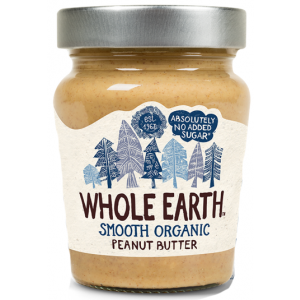 In addition to peanut butter, Whole Earth also makes a variety of other organic groceries. According to its website, it has partnerships with sports organisations British Triathlon and Running Free. Wessanen, which is headquartered in The Netherlands and owns cracker brand Kallo and tea product Clipper among others, did not respond to requests for comment.